Prevatte’s Home Sales was founded in 1988 and is the leading independent dealer of mobile and manufactured homes in Robeson County and surrounding counties in North Carolina. Buying a home can be a scary experience (especially if you’ve never done it before) but having a home you love is something we all dream about. Too often, getting that home can feel out of reach. Some dealers can make the home buying process overwhelming and difficult – with hidden fees, complications, and more that make that dream feel impossible some days. That’s why I started and have grown Prevatte’s Home Sales here with the incredible help and support of my wife, Marilyn. Through my business and throughout my long career in this industry, I’ve been selling mobile and manufactured homes right here in Robeson County for nearly 30 years. Year after year – we’ve won customer service awards and became the number one dealer in our area. But more than anything – our greatest achievement is that we’ve helped people easily buy their next home and get on to the business of living their lives. That’s what it’s all about. So if you’re ready to find the right home, we’re here for you. Talk with us today and let’s make your dream home possible. 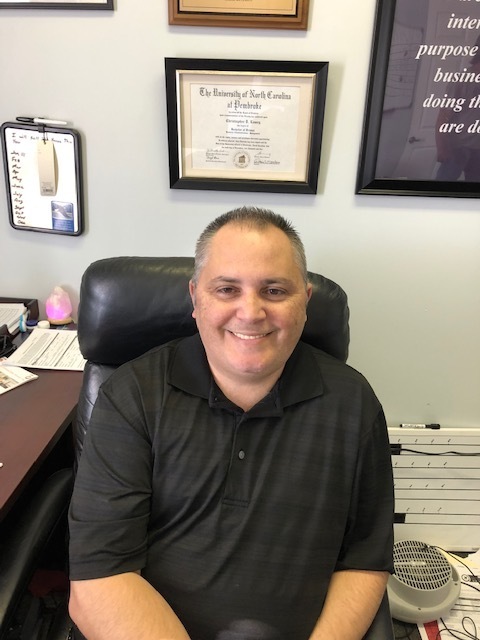 When you visit us, you'll meet with Tonnie Prevatte or one of our fantastic team members. We're all up-to-speed and ready to guide you through a smooth home buying experience. Here's a bit about who we are and why we do what we do. "As a part of the Prevatte's team since 2009, I love my interaction with our customers like you. Sitting down and hearing your stories and helping you with your home buying process. It’s not my job as a salesman to sell you a home, it’s my job to listen and help you purchase a home that meets your needs. " "Many years ago, my father told me that if I wanted a great opportunity in my career, I should go work with the Prevatte family. They are hardworking honest people that treat their customers right. I joined Prevatte’s in July of 2016 and, as always, my dad was right." "I've worked for Prevatte's for more than 25 years of its almost 30 year history. We have an outstanding reputation locally, regionally, and in several ways, nationally. It’s the kind of place that you are proud to be a part of. I'm always glad to tell people about where I work because what we do is all about helping people find their dream home." "We'd like to let you know all the compliments we've been receiving on our new home! People can't believe it's a manufactured home. From the first phone call to Phillip, helping us choose the floor plan for our lot dimensions and to Chris helping with the complication of a mortgage - everyone made sure things were done in a timely fashion. Tonnie took care of the logistics of set-up to meet our firm closing date, too. We have to say: Prevatte's sales staff and set-up are the best in the business. If you are in the market for a manufactured home, Prevatte's Home Sales should be at the top of your list!"